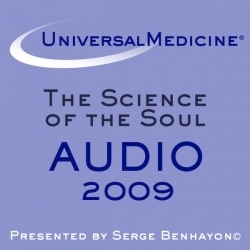 To subscribe to The Science of the Soul 2009 online – simply click on the button below and proceed directly to the checkout. Once your payment is complete, your subscription will be activated and you will have access to the audio files in the Arcane Library download area. NOTE: The content made available through this subscription is for listening on this site or downloading and saving on the personal devices of the subscriber only. Downloading and storage of the content on the devices of third parties, or unauthorised recording, copying, distribution or other use of the content (or any part thereof) in any medium or format is a breach of copyright and strictly prohibited.